Psoriasis is an auto-immune skin condition which may sometimes also affect the joints and nails. The most common form is characterized by thick, red and silver scaly skin plaques that constantly shed dead skin. It is often itchy and can occur on any part of the skin surface. An auto-immune condition is described in most literature as one where the immune system has confused a type of body cell – in this case the skin cells – with an infectious microbe and as a result, launches an inappropriate immune attack on that tissue. This view has recently been challenged in light of research being done in this area. It is known that there are big differences between healthy skin and psoriatic skin with the key differences being the abnormal migration of immune cells into the skin layers and an increase in blood vessels in the affected skin. The inflammatory chemicals generated by the immune system appear to interfere with the normal cell life cycle, so the skin cells multiply at an abnormal rate and are produced faster than the body can shed them. Research has also raised the likelihood that it is not the skin the immune system is attacking specifically, but rather a low grade chronic infection in the skin. In our experience this is often a fungal or yeast infection and we feel every person with Psoriasis needs to do a systemic fungal cleanup of their body. We have also found that the health of the gut, digestion, food intolerances and mineral balance play a huge role in normalizing the immune response. These are all covered in the guideline below. We recommend using Purely Earth Clay baths to help with removing the scaly skin. These should be done every day for 10-14 days and then maintained at 1-2 baths per week or as needed. Start with 30 minutes each time. They help to reduce the inflammation, the acid waste level in the skin and to remove the scales. To find out how to make and use a clay bath Click Here. 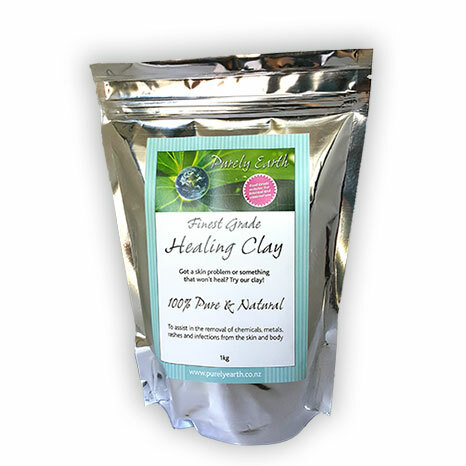 Localised packing with clay can also be very helpful on particularly troublesome areas and will help broken skin to heal. For how to make and use a clay pack Click Here. 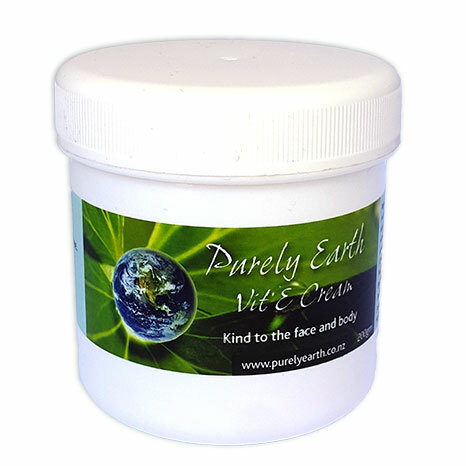 Use Purely Earth Vitamin E Cream after using the clay and as a daily moisturiser. This is a non-chemical natural cream that nourishes and feeds the skin and will help to soothe and heal any stressed areas of the skin surface. 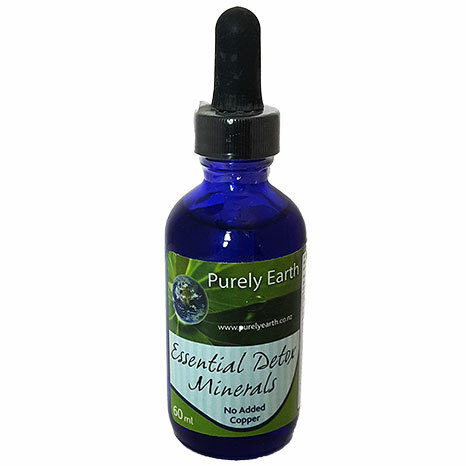 Purely Earth Essential Detox Minerals are in our opinion, invaluable alongside the clay. They are a unique ionic mineral formulation which provides all of the most commonly deficient minerals required to run the digestive enzymes and liver enzymes in a highly bio-available form. Use 2 ml of the liquid per day for adults and 1 drop per kilo of body weight for children under 10. Put into water or diluted juice. We recommend you get a Metal and Mineral Test done. We can’t emphasise enough the importance of this because the correct balance of zinc to copper, copper to molybdenum, calcium to magnesium and magnesium to sodium and potassium are all essential for improving the immune function and the pH of the body for people with Psoriasis. This test shows clearly the mineral status of the body and where there may be problems with the mineral levels and ratios. Use our Medicine Chest Smoothie to lift nutrient levels. Address any signs of weak digestion such as reflux, bloating, gas and indigestion. Avoid alcohol and sugary foods or beverages. These usually make the Psoriasis worse. Get your Vitamin D levels checked and supplement if required. This is frequently low in people with Psoriasis and is required to help regulate the immune responses. Use a quality fish oil at 3000 mg of active omega 3 fatty acids minimum and reduce the amount of vegetable oil and saturated fat in your diet. 1-2 Tbsp daily of hempseed oil may be helpful here. Remove inflammatory foods. In our experience it is essential to get our Food and Chemical Sensitivity Test done to help to identify any foods or food chemicals which may be aggravating your immune system. This test will also help to establish whether there is a Candida infection present. Address Candida over-growth if indicated. It is strongly advised that you do a month of using the above before doing any bacterial or fungal cleanses. Please ensure your bowel is moving every day before you start. Seek help from our practitioner Sarah or another experienced practitioner to achieve this if necessary. Bacteria, yeasts and fungi generally form sticky “bio-films” in the body which serve as part of their protection mechanism. Breaking the bio-films is essential because this is where the bacteria, yeasts and fungi will hide and breed and their waste products place more stress on the clean up organs in the body. Breaking the bio-film means a cleanup will be more effective. We recommend using Purely Earth Diatomaceous Earth at 1 generous tsp in water last thing at night during the cleanse process. To address bacterial imbalances in the gut use Dr. Wilson’s Body Guard at 15 drops 4 x daily in water away from food. Do this for 3 weeks. Use Dr. Wilson’s Squeaky Clean at 1-2 caps daily with food to repopulate the gut with the right bugs and to sweep the gut lining clean. Once the bacterial cleanup is done, address the fungal and yeast infections systemically. Use a chitin inhibitor such as Fungal Stop. This part of the process is essential and should be done under the supervision of a qualified practitioner who is familiar with the use of chitin inhibitors, such as Sarah. Psoriasis is a highly oxidative condition. We recommend building up the levels of Glutathione which is highly protective and which is usually depleted in this condition. Extreme Psoriasis can be life threatening. If you have any doubts about the severity of your condition please contact your doctor. When insufficient stomach acid and enzymes are produced, the minerals required for healthy digestion are not absorbed as well, food is not digested properly and can start to ferment and putrefy in the stomach and digestive tract. The resulting fermentation and putrefaction can cause symptoms such as food intolerances, indigestion, reflux, irritable bowel, bloating and gas due to an overgrowth of pathogenic bacteria and yeasts in the intestinal tract. These can then cause inflammatory responses, increased permeability of the intestinal walls and abnormal immune function which may then lead to a myriad of complaints including skin conditions, hay fever, aches and pains, oestrogen dominant hormonal conditions such as fibroids and endometriosis, an overloaded detoxification system, food and chemical sensitivities, acne, eczema, asthma, erratic bowel function, lowered immunity, yeast infections outside of the gastro-tract, mood imbalances, headaches, brain fog and fatigue. If the above treatment outline does not clear the problem for you, we recommend you contact our practitioner Sarah to help you further.